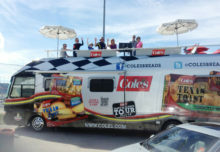 ONE OF THE PIONEERS OF MOBILE MARKETING has returned to the discipline it helped define with an all-new mobile tour that rolled out Aug. 15 and was set to hit 24 markets by the end of October. Thanks to its success the brand has extended the tour for six more weeks to hit six additional markets by Dec. 13. 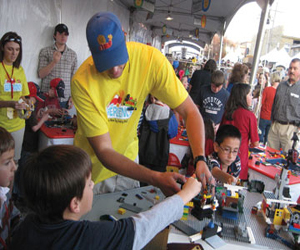 The LEGO Experience Tour kicked off at Chicago’s Lincoln Park Zoo and then split into two concurrent East and West Coast-bound tours each scheduled to hit a variety of local fairs festivals and air shows. The tour is housed in 24-foot box-trucks that are nimble enough to maneuver smaller venues yet large enough to make a statement. Each vehicle features more than 100 close-up headshots of popular LEGO characters adorning each side. For fun LEGO-based creations like ladybugs and giant flies are attached to the rearview mirrors and grills of the vehicles. The brand hopes that the playful trucks and on-site activations will inspire longtime fans to rediscover LEGO and introduce the brand to their children as well. The footprint at each stop is not large but the series of tents are packed with interactives. The LEGO Construction Zone is a free form open-ended building station with play tables and bins filled with hundreds of LEGO bricks in the center. A highlight is the central tent which features one massive build table set against a cityscape background. Visitors are invited to populate the city with buildings and people that represent the stop’s location. LEGO is showcasing the creations on the tour’s blog at thelegoexperiencetour.blogspot.com. Next competitive families have a chance to work together in the Family Challenge area where an emcee will announce a theme like “your favorite building” or “something that begins with the letter ‘q’” and the family will have two minutes to meet the challenge by working together with LEGO bricks. Before leaving the exhibit the Beyond Bricks area showcases the brand’s other offerings like Bionicle video games and mini-movies and offer memberships into the LEGO club and subscriptions to LEGO magazine. The activation continues online at the tour’s homepage on blogspot and via a dedicated photo stream on Flickr. of the first brands to get ultra-aggressive about mobile marketing in the late 1990s using several tours a year to launch products connect with kids and families and go beyond traditional media into the face-to-face realm. 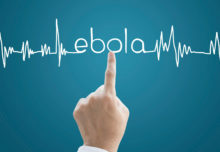 Known for its multi-day intensive staff training regimens the company also helped define early on many of the brand ambassador training techniques used today. But alas economic challenges and a changing market put an end to much of the non-traditional spending by the end of 2003.
our offerings ” he says. “What we know is once they get the bricks in their hands they get it. The strategy is working and we’re meeting our objectives both in the breadth of brand experiences and in meeting people who thought they knew the LEGO brand and reintroducing them to us” (Agency: Marketing Werks Chicago).